A reboot can put a real dent in your productivity — here are some tools and tips to help you pick up from where you left off, without missing a beat. Most Windows user are likely to have experienced this scenario; you’re working away and making good progress, when suddenly your PC tells you that it needs to restart How to Disable Forced Restarts After a Windows Update How to Disable Forced Restarts After a Windows Update Are you tired of Windows hassling you to reboot your computer after updates were installed? Miss a pop-up and it reboots automatically. Stop this madness and reboot at your leisure. Read More . When it’s up and running again, all the files, folders, and applications you had open are nowhere to be seen; instead of getting back to work, you have to reassemble everything you need for the task at hand. What if there was another way? With a bit of forward planning, you could have the utilities you need to get back to work in an instant. Here are some tips on making sure that reboots don’t derail your work. There are some files and applications that you may well use every time you sit at your PC. Instead of taking the time to open them manually every time, it might be simpler just to schedule them to initialize alongside your system. First, you’ll need to create a shortcut of whatever you’re looking to launch on startup, which you can do by navigating to its location via File Explorer, right-clicking it and selecting Create shortcut from the dropdown menu. Then, use the Windows Key + R to open a Run dialog box Everything You Must Know About The Run Dialog & Most Useful Commands Everything You Must Know About The Run Dialog & Most Useful Commands Are you using the easiest way to save time on Windows? It's the Run dialog. We show you how to quickly create custom commands to open any program or file in two easy steps. Read More and enter shell:startup. 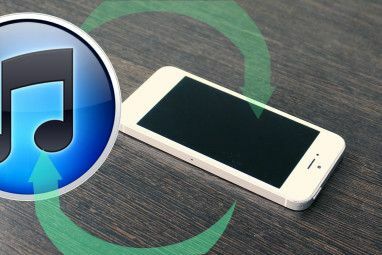 This will take you to the Startup folder Make Windows Start Faster: 10 Non-Essential Startup Items You Can Safely Remove Make Windows Start Faster: 10 Non-Essential Startup Items You Can Safely Remove So your computer has been booting slowly lately? You probably have too many programs and services trying to start up all at once. Are you wondering how they got there and how to remove them? Read More . Drag and drop the shortcuts you made to this folder, and you’re done. To reverse the process, just delete the respective shortcut and that file, folder, or application will no longer open at startup. Adding a lot of programs to the startup folder can cause your startup to slow down, especially if you’re short on memory Is Your Virtual Memory Too Low? Here's How to Fix It! Is Your Virtual Memory Too Low? Here's How to Fix It! The curse of Windows is its slowing down over time. Often, low memory is to blame. Here is one more way to virtually unburden your RAM. Read More . 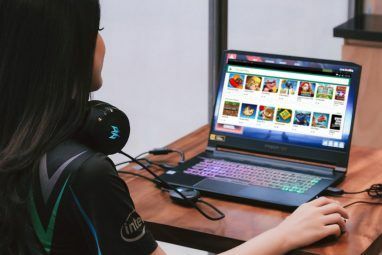 In that case, it may be better to rely on a third-party tool, such as Startup Delayer, to set up a staggered launch 3 Small Windows Tools to Delay Any Programs at Startup 3 Small Windows Tools to Delay Any Programs at Startup Read More of the applications you use every day. If you’d prefer to remain in control, rather than completely automatizing the process, you can also launch multiple programs from a single batch file Launch Multiple Programs From a Single Shortcut Using a Batch File Launch Multiple Programs From a Single Shortcut Using a Batch File Do you always launch a specific set of applications? What if you could launch them with a single click? It only takes a minute to set up and will save you so much time! Read More . To make sure that all the folders you have open when your computer shuts down are opened again when its starts back up, all you need to do is tick a checkbox. First, open the Control Panel Unlock Windows Potential: Control Panel Demystified Unlock Windows Potential: Control Panel Demystified If you want to be the master of your Windows experience, the Control Panel is where it's at. We untangle the complexity of this power tool. Read More and navigate to File Explorer Options. Open the View tab and scroll down until you find an entry that reads Restore previous folder windows at log-on. 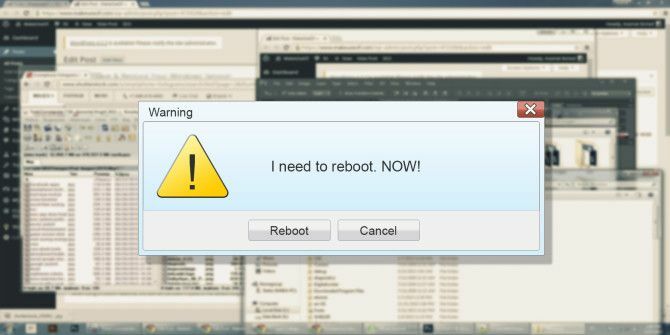 Make sure that box is ticked, click OK and you’ll be up and running for the next time your reboot. While system tools can help you out in a pinch, the most elegant way to retrieve your workspace after a reboot is to download a specialized piece of software. SmartClose offers an easy way of re-opening your specified processes for free. CacheMyWork is much the same in terms of its functionality, but it’s minimalist approach to UI will either be a selling point or a detriment, depending on your tastes. SmartClose has the edge in terms of settings you can tweak, but the straightforward CacheMyWork has its own appeal in terms of simplicity. However, if you’re looking for a tool that can re-open files and folders as well as applications, you’re going to have to pay for it. Twinsplay is priced at $39 per user, but the extra functionality that you get might make it a smart investment. As well as the windows themselves, the program will remember the content that was being displayed — for instance, if you had several tabs open in your web browser, they’ll be restored, too. 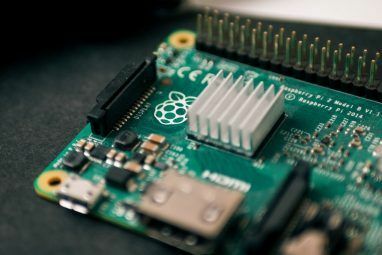 It’s a very powerful tool, and definitely has its advantages over the free alternatives; the only question is whether you’ll use it enough for the price to be palatable. The most comprehensive way to preserve your Windows experience through a reboot is to utilize a virtual machine What Is a Virtual Machine? Everything You Need to Know What Is a Virtual Machine? Everything You Need to Know Virtual machines allow you to run other operating systems on your current computer. Here's what you should know about them. Read More . A virtual machine is a way of emulating an OS on your computer — a virtual computer that runs on your real computer. Applications for this software typically focus on using a different OS Testing A New Operating System? Stay Secure With A Virtual Machine Testing A New Operating System? Stay Secure With A Virtual Machine Read More to the one installed on your system, but in this case you would take advantage of save states to pause your session before picking it up at a later time. VMWare Player and VirtualBox are two free virtual machine packages that offer this functionality for free. However, there is a drawback to this technique: you’ll need a fairly powerful computer to handle the strain. You’re emulating another instance of Windows within the one that you’re running, and that takes up system resources. Depending on the system and the usage, the strain will vary. Word processing and web browsing won’t cause too much of an issue, but if you’re working with image editing software or video content 3 Ways To Do Video Editing From Within Chrome 3 Ways To Do Video Editing From Within Chrome If you're on a budget and need free video editing options, look no further than these three Chrome apps, compatible with both your browser and Chrome OS. Read More , you might see your system chug. Running your workspace within a virtual machine all the time isn’t particularly convenient. However, there are other benefits to some virtual machine packages that might make it worthwhile, like the ability to transfer your desktop environment from one computer to another. It’s a compromise, certainly — but it’s the best way to restore your session in a pinch, and find everything exactly as you left it. Do you have your own method of restoring a Windows session? Do you know of a piece of software that can stand up to the utilities and virtual machines listed in this guide? Let us know about it in the comments section below. Explore more about: Restore Data, Virtual Desktop, Virtualization. 5 Ways to Transfer Data From PC or Laptop to Android PhoneWill Linux No Longer Work on Future Windows 10 Hardware? Microsoft is brain-dead for not having implemented a VM as the main method of interacting with the OS so as to preserve all application states through windows updates. There's really no technical need anymore to have to shut down the OS after applying updates. I'll argue that with a better design, there would never have been a need to have to re-start the operating system. Mainframe operating systems did this decades ago. Back in the day I could use Microsoft Binder to "bind together" all the Office files I needed for a given task. After a reboot. I could just reopen the binder (or another binder if I wanted to work on a different task). Binder came free with Windows (I want to say 98?) and seemed much simpler for consumers to implement, and more flexible, than any of the current options discussed above. Then, just when I'd gotten to appreciate it, MS dropped it : ( It was that "now that you'va learned VBASIC, let's change it so none of your precious Office macros work anymore" all over again. Have you tried Twinsplay? Can you do a tutorial on it? I do genealogy as a hobby, which can require opening 30 or more tabs on a single browser (going through an extended family on Facebook AND Ancestry) plus 4-6 text files plus several file-managers in different folders plus a few PDF's plus an image-editing program with 5+ images. And when you're working different family lines, you need the same number of applications running, but with DIFFERENT images, PDF's, etc. I tried using Twinsplay and it was a waste. It can handle about 3-4 programs total, e.g., one instance of a file manager, one Excel spreadsheet, and an image editor. Beyond that it just doesn't work. Most of what you need to do can be easily done with normal software. Most browsers (e.g. Pale Moon, Firefox, Chrome) can restore tabs automatically. Notepad++ maintains all opened text files. I imagine most, if not all, PDF viewers keep a history of recently opened files so you could just reopen them from there. What may be even better for you would be PDF-XChange Viewer's ability to restore the previous session when it starts. That just leaves you having to figure out a solution for the images, which unfortunately I can't help you with since I don't deal with that, but I assume they also have a recent files list. I've never experienced that. i wonder if maybe it's just restarting explorer.exe, but I would think you'd know the difference. ...OR use a virtual machine.. lol!